The Ashley Mallacar 3-Piece Table Set has a casually cool sensibility about it! Its lovely, vintage-inspired style is simple and clean-lined, and this trio has a blend of rich wood, pine veneer and plank detailing to thank for its heavily distressed charm. 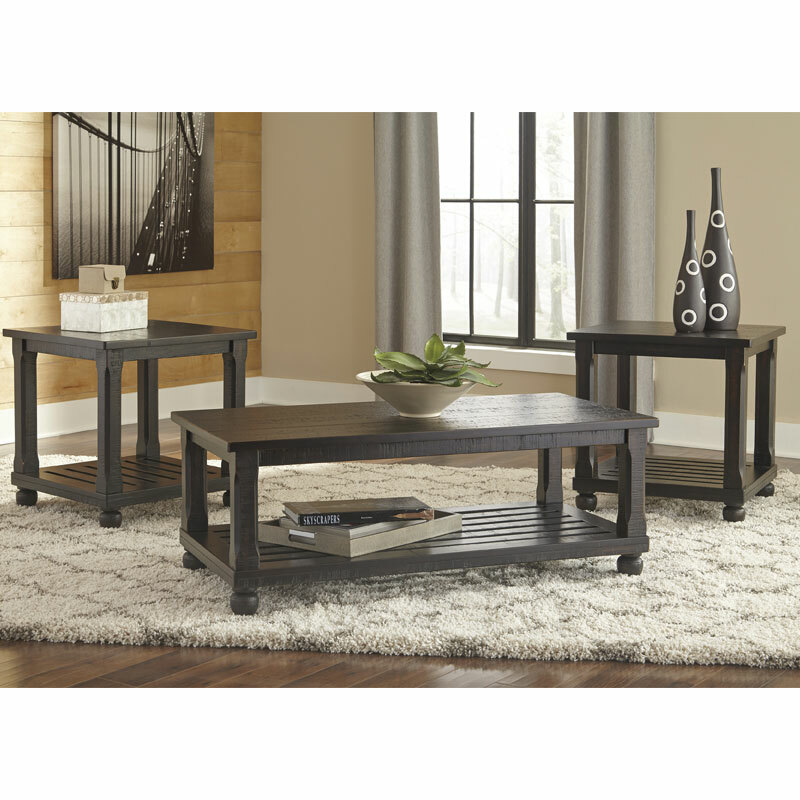 Set includes 1 ottoman coffee table and 2 end tables.